Apparently medicine and academic research are itinerant fields peopled by migrant workers. You see, much as migrating birds fill the spring skies on their way back home from warmer climes, scientists and ivory towers physicians fill coach class with laptops in tow, flitting from academic meetings to research conferences getting the haps on what’s hip and trendy in recombinant coagulation factor management. Seriously. So, needless to say, the hubster’s been living out of his little carry-on for the last few weeks between pit stops at home to re-fuel, re-pack, and re-charge. Despite this all, life marches on and in a serendipitous brilliant feat of finagling, he managed to arrange a meeting down in SoCal just in time to do a post-op visit on his Dad. Poor Dad-in-law has been gimping along for years with another bum knee and finally had his second knee replacement so now he has a matched pair. And what better pick-me-up for the bionic man than tartly sweet Meyer lemon bars with a crispy, buttery shortbread crust? Yup, it’s spring and we still have Meyer lemons at the local market and while you can easily make these with regular lemons, I like the tart sweetness of Meyers. This is another super simple recipe from Fine Cooking that, just by using melted butter, makes shortbread not only easier but crispier. Melted butter has more of a spread than solid butter which when baked creates a more crispety crust. Yum. Since I used Meyer lemons instead of more sour regular lemons, I decreased the sugar in the lemon filling by 1/4 cup to keep that tart zip without overwhelming it with sweeeetness and kept the baking temp for the lemon filling at 325F cuz 350F is just too hot (you’ll crack your filling baking it at a high temperature). Actually, since most of the mixing is done with your hands, except for zesting, this could easily be a project for introducing the kidlets to the joy of baking. Oh, and the $23,000 Dad-in-law (he may be bionic but despite inflation with increased voume and efficiency isn’t the million dollar man ;)) is perky and rehabbing well with his piquant treats. Preheat oven to 325F. Line a 13 x 9-inch baking pan with aluminum foil long enough that the ends overhang the 9-inch sides by 3-4 inches (this will make it easier to lift the bars out of the pan). Mix together butter, sugar, and sea salt. Stir in flour till just combined, no white lumps or streaks visible. This will make a clumpy dough like wet sand. 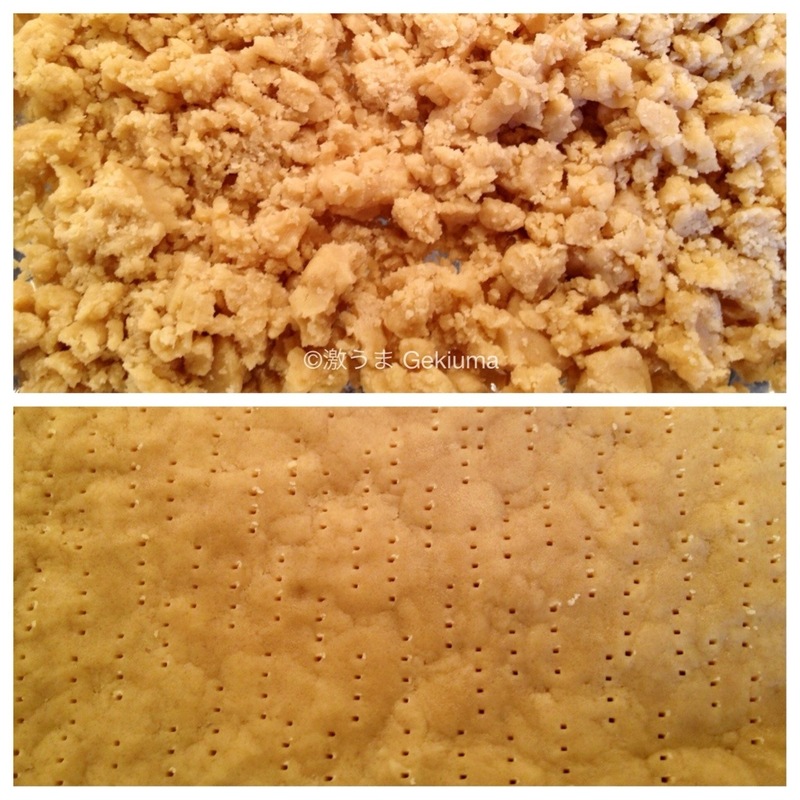 Crumble dough into baking pan, spreading evenly. Firmly press dough into pan so that it makes an even layer. Prick all over with a fork ~1/2-inch apart to allow the dough to rise evenly without bubbles or lumps. Bake till just golden along the edges ~20-30 minutes. In a glass baking pan with convection it takes me 20 minutes. 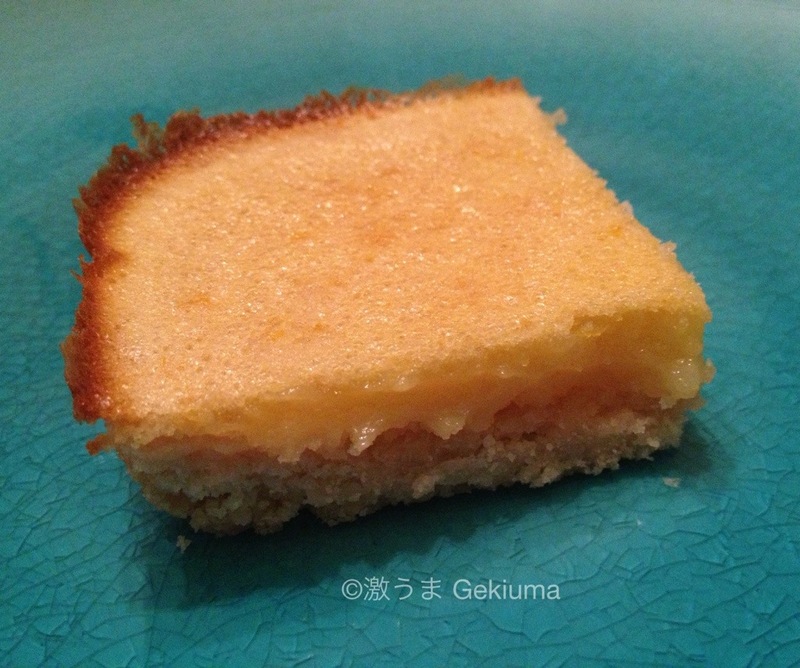 Pour Meyer lemon topping over hot dough and bake till topping is set/the center doesn’t jiggle when you sharply rap the edge of the pan ~another 20-30 minutes. While the dough is baking, beat eggs and sugar together in a large bowl. Whisk in flour and salt so no lumps remain. 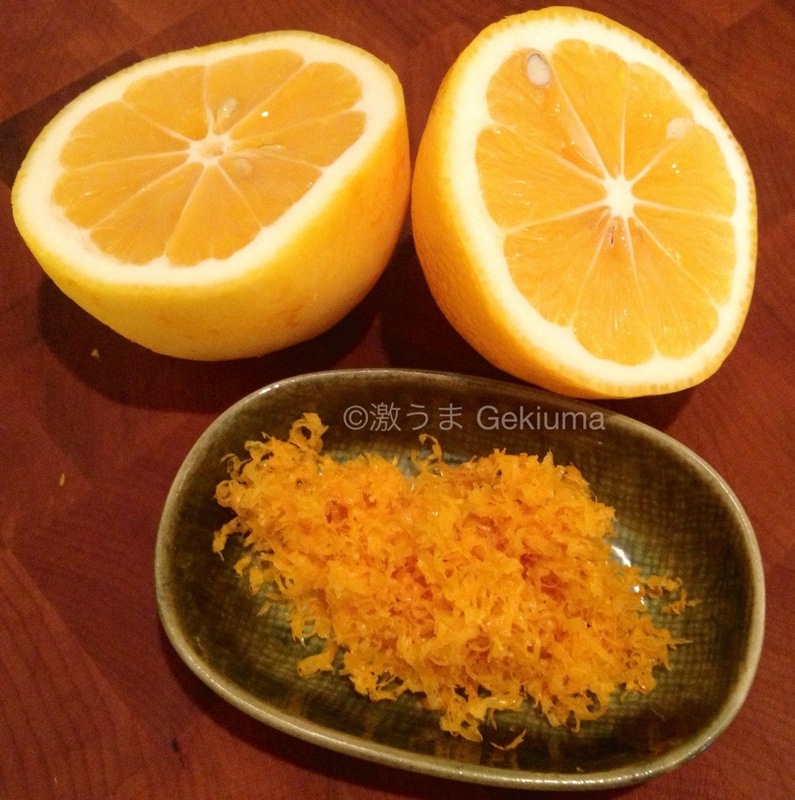 Stir in lemon juice and zest. Makes ~24 2-inch bars and one happier bionic Dad-in-law plus a few friendly neighbors. I was so excited about this recipe and then noticed the lemon zest. You see. I’ve quite a bit of frozen Meyer lemon juice resulting from making Limoncello recently. No zest, though, because that was needed for the liqueur. I’ll just use a regular lemon’s zest and be done with it! I like that you cut the sugar and thanks for the tip about lowing the baking temp. There’s nothing like a good lemon bar and these look delicious! Thanks for sharing! Regular lemon zest will work great. Sometimes if my lemons are looking like they’re going to overripen before I can use them I’ll zest & juice them and dry out the zest on a plate. It keeps well in a zip bag and you can just pop it into your dough or sauces. I do love all things lemony and these look tasty! !